Are You Or Someone You Love, Special? Special is defined as better, greater, or otherwise different from what is usual. We are all special in some way. However, some of us may have special needs. Sometimes that can be temporary, due to an accident or illness and for some of us, or our loved ones, it is a part of everyday life. Having a special need is not a roadblock to travel. The world is now more accessible than ever before. Twenty percent (62 million) of the U.S. population has some form of disability, and the number is increasing daily. If you’re part of that twenty percent, a world of travel awaits you. I just became an accessible travel advocate certified by Special Needs Group, the leading global provider of special needs equipment for the travel industry. I now have unique, specialized knowledge of how to help individuals with disabilities enjoy a wonderful, hassle-free and memorable trip. 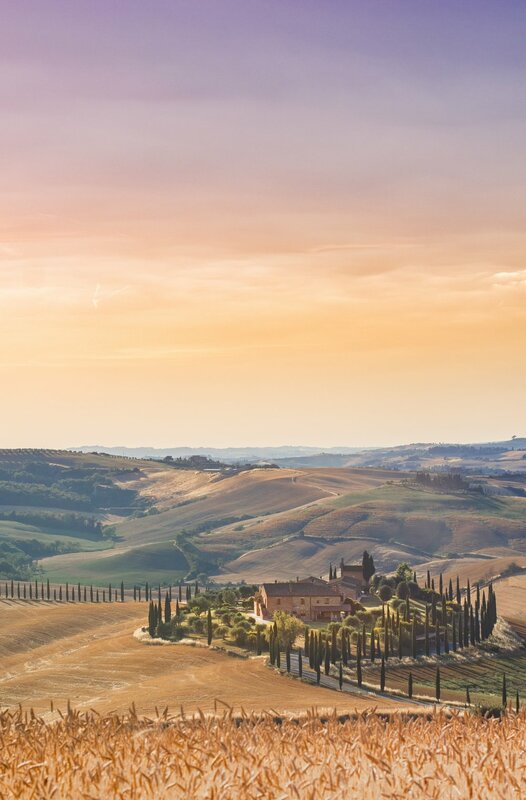 Here are a few tips from Special Needs Group to ensure that when your next travel opportunity arises, you are ready to go. I’m here to facilitate. Evaluate the logistics of your trip in relation to your ability to keep pace. What modes of transportation will you be using? Airplane, motor coach, train, ship, transit vans for ground transfers? Make a list, to make sure we don’t miss anything. If you already own a scooter or portable oxygen, it’s important to know the policy and procedures for bringing that equipment onboard all the transport vehicles in your itinerary, from planes to taxis to ferry boats. Is there a way to stow your scooter or wheelchair? Is oxygen allowed on board? Some airlines prohibit certain types of batteries, such as wet cell batteries, or oxygen cylinders. Airlines operate under strict rules, so there may be packing procedures to follow if they do allow the equipment. Most airlines need at least 48 hours’ notice to make special arrangements and be prepared to fill out forms. Cruise ships are more lenient in allowing oxygen, but some disallow certain types of oxygen. All require that the oxygen be delivered to the ship, and that you have enough for the entire voyage. Oxygen may never be brought aboard in your luggage. Requirements vary, so check your cruise line for proper instructions. Again, documentation and paperwork are required. 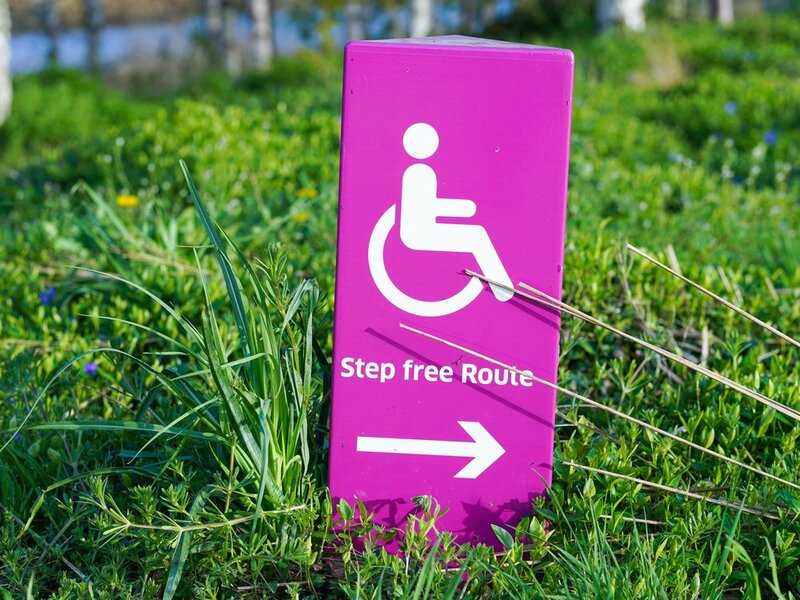 Whether you are headed for a cruise ship, hotel or all-inclusive resort, double check for wheelchair access at that venue, plus any venues you will be visiting on the trip. We need to confirm that accessible hotel rooms, resort accommodations or ship staterooms are available for your travel dates. The earlier we book, the better your chances of securing fully accessible accommodations and increases your chances of securing a ground floor hotel room or cruise stateroom near the elevator, if these are important. Check on the access to public rooms, restaurants, bars, toilets, the swimming pool, hot tub, beach area and other amenities. Are there TDD phone devices? How will you get in and out of the shower or bathtub? Are there flashing lights to accommodate hearing? Braille room numbers? Knowing in advance the scope of your needs gives us time to arrange advance rentals of any necessary equipment, scheduled to arrive when you do. Everything from scooters, lifts, ramps, TDD kits and special mattresses, including special needs cribs, is available for rental. 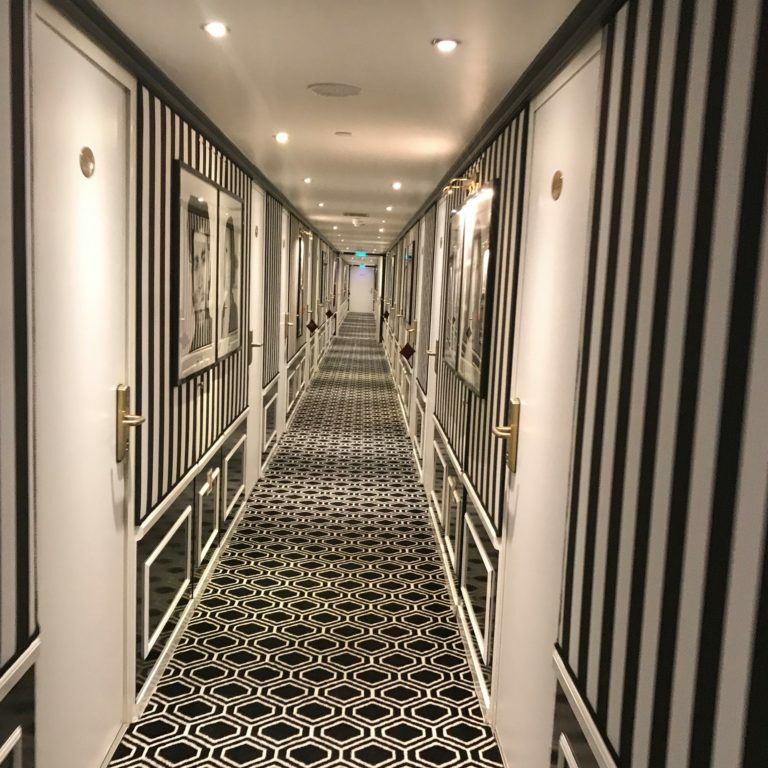 Be sure you ask the right questions, even if the accommodations or cruise stateroom are categorized as “accessible.” For example, are doorways wide enough for the largest wheelchairs? Do the doors open outwards or into the room? Are all the public areas of the hotel, resort or ship accessible? Do you need to make special arrangements in the dining room to accommodate the wheelchair or scooter? Will the bathroom facilities truly fit your needs? Is the bathroom large enough for the wheelchair or scooter? Is there a roll-in shower? Grab-bars? Are there shopping and entertainment facilities close by if you are staying at a hotel or resort? On shore excursions or tours, does the van have a lift and method for transporting wheelchairs and scooters? Don’t take anything for granted. It’s easy to arrange for almost every situation, and the world is wonderfully accessible, once you know what’s needed, what’s available and how to find the necessary equipment. I look forward to helping you or your loved one with all your accessible travel needs! Everyone deserves to have a wonderful vacation no matter how special you may be. Call me, let's talk! 415 931-1945. I was selected out of a pool of other travel industry applicants to go on U by Uniworld’s first launch river cruise. 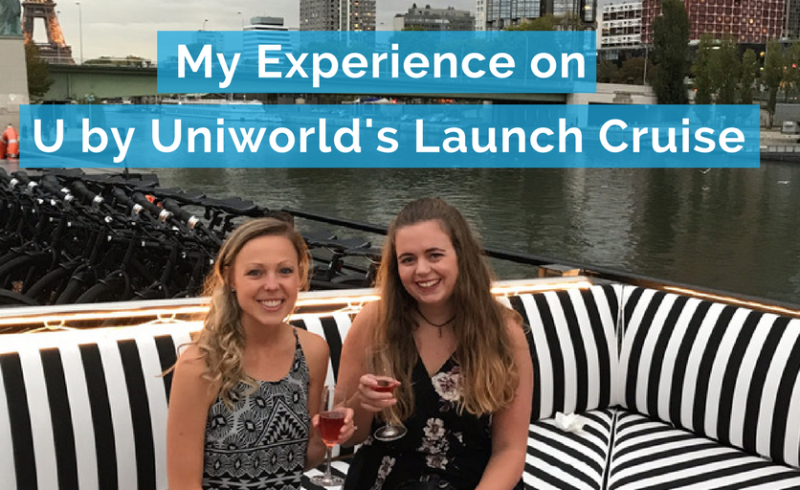 I submitted a 30 second video explaining why U by Uniworld should pick me to experience this first river cruise adventure. At Gifted Travel Network, we work with over 230 travel agents from all over the country. I knew many of our agents were curious about U by Uniworld and would want feedback on this new product so they can sell to their 21-45 year old clients. 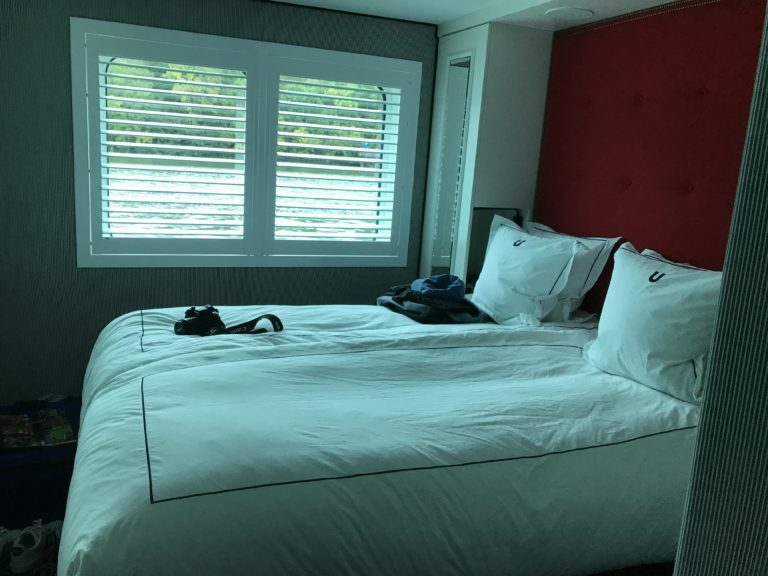 I thought, why not take one for the team, and volunteer to go on behalf of our GTN agents so I can report back about my experience onboard the new ship, The B. I graciously volunteered my time to vacation—I mean document my travels for our agents – and this is how it went…Overall this was an amazing trip. I love the vibe of the B. The theme is black and white with pops of bright colors. The cabins are all black and white with bright red accents. The dining room was beautiful and you guessed it, also black and white. Even the ship’s exterior was black with daily color changing neon lights highlighting the ship’s name. The B’s lounge area and Ice Bar also continued the modern night club vibe. ‘They’ say that river cruising is great because you just have to ‘unpack once.’ If you were to step inside our lovely studio room number 108, you may find the saying is more accurately ‘throw your overpacked suitcase in the corner of the room once.’ Even then, it was obviously super convenient to travel to different French cities while not worrying about packing, lugging around aforementioned overpacked suitcase, transportation, finding your next room, etc. I studied abroad in Paris during college, and I’ve experienced the backpacking/hostel form of traveling. As a very mature young professional of the old age of 23, I much prefer the river cruise way of traveling. Originally, one of the main things that caught my interest of U by Uniworld was the opportunity to stay later in the ports of the destinations. However, if the French love to do one thing more than drink wine and eat baguettes, it is going on strike. Unfortunately, our planned pub crawl in Rouen was not possible due to the Paris worker strikes. We had to leave Rouen early in order to get back to Paris before midnight. I would have loved to experience a night out in a French town, but it was out of our control. Even though I was looking forward to nights exploring the French cities, The B came alive at night. The dinners were a great way to meet new people since the tables could accommodate groups of 6 or more. 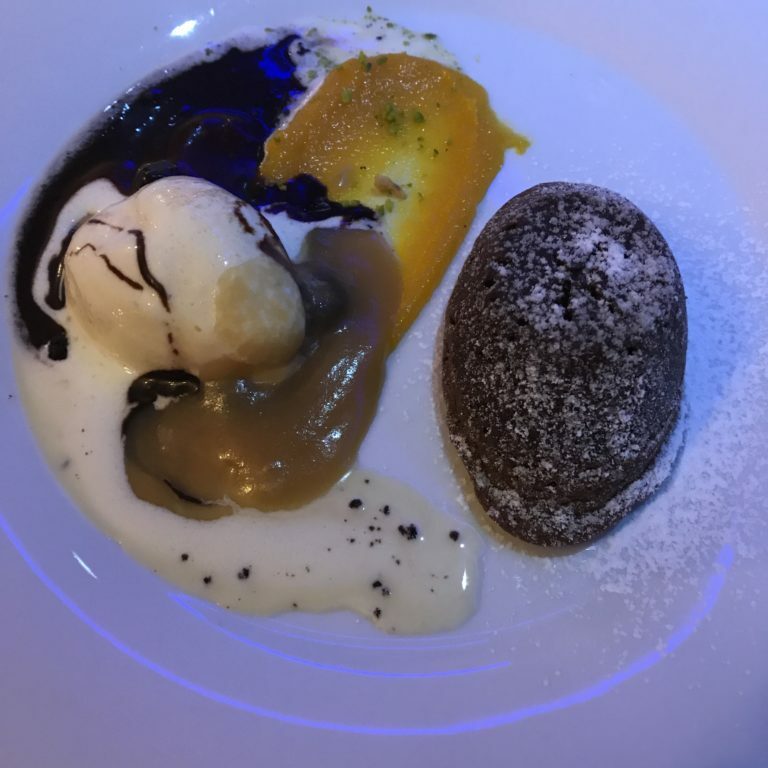 I met so many great people, and it was so fun to party – I mean– test different foods, drinks, and activities for purposes of reporting back to my agents. The first night was the renaming ceremony, which took place on the deck overlooking the pictured below AMAZING Parisian view. One night we had a silent disco in the Ice Bar -which I was skeptical of at first, but turned out to be a lot of fun. The final night was a pajama party, and everyone wore their U by Uniworld silky pajamas to the Lounge. Yes, even the Instagram models. One of the great things is that you have options for excursions. Adventurous? Try the bike tours! Like a slower paced tour? Try the bus tour or walking tour. Early riser? Opt-in for the morning kayak adventure or yoga class. Prefer to sleep in because it was a late night the night before? No worries, you can go to brunch when you wake up and catch the afternoon main excursion! Don’t want to do any of the above? Go out exploring on your own! Shout out to the crew! The crew and U by Uniworld team were all so lovely, helpful, friendly, and awesome. To the dinner crew who helped accommodate my picky eating habits to the biking team who helped me not get run over by cars in the busy French intersections, and to the bartenders who knew our drink orders. If you want to experience this for yourself, contact us. Are you a travel enthusiast? Do you want to share your unforgettable travel experiences? Well, our doors are wide open for you. We are looking for guest bloggers who have the passion of traveling and writing about their travel experiences. We can feature your work on our blog as your portfolio. Get in touch with us!